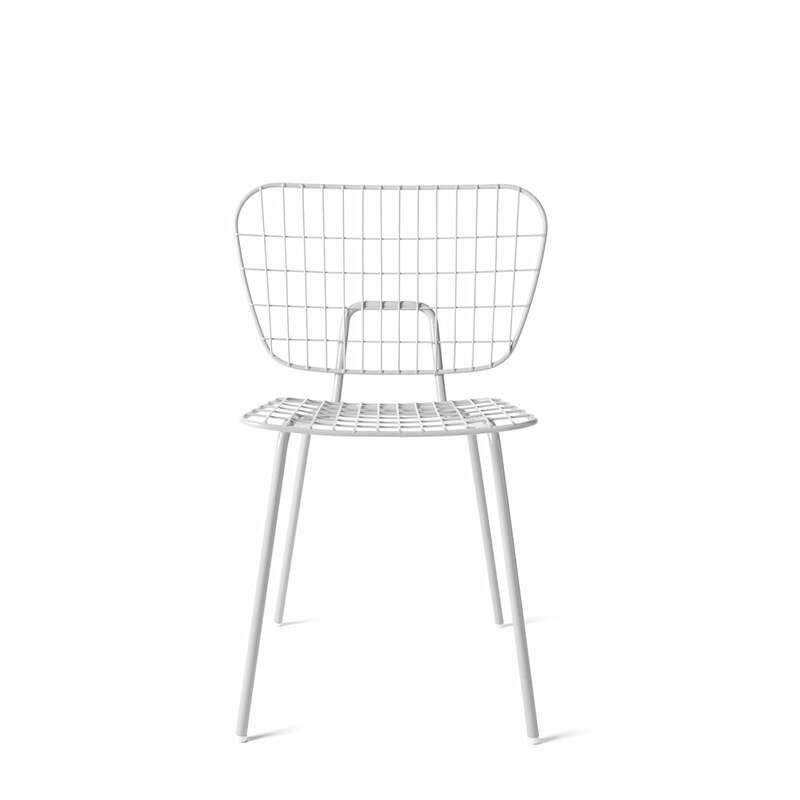 The Menu WM String Dining Chair is a wire chair with an airy and light design. 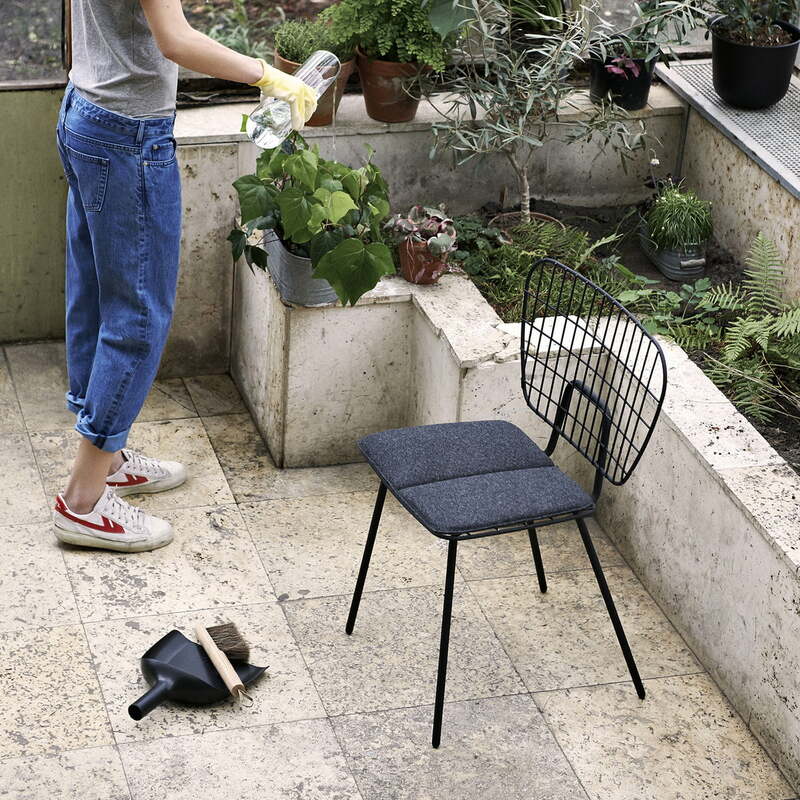 In spite of the minimalist material use, the chair boasts a surprisingly high level of comfort, meaning it can be used not only in the living area but also on the balcony or in the garden. 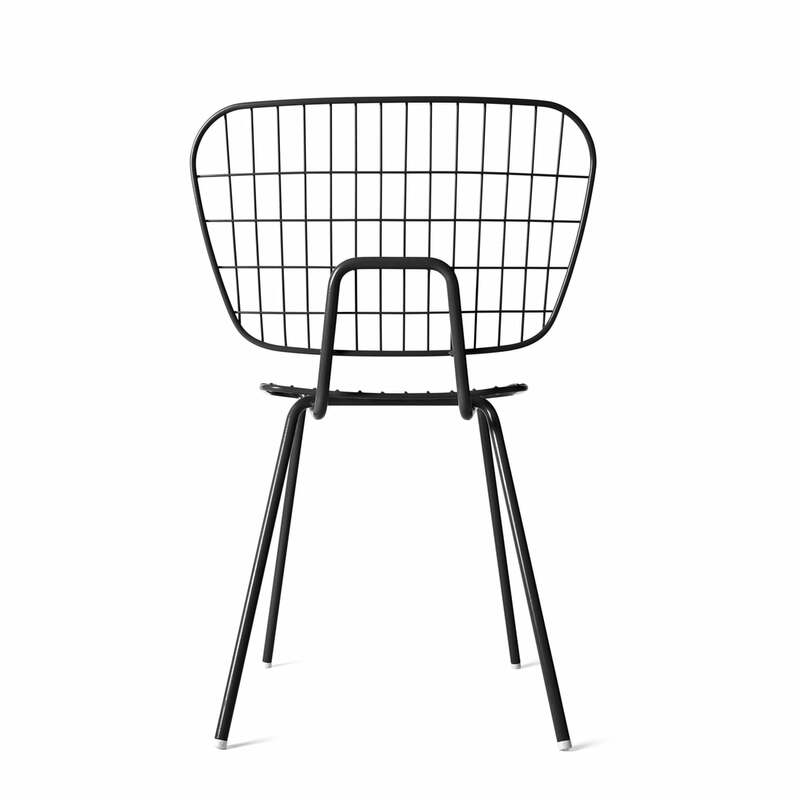 The design studio WM from Rotterdam is responsible for the wire design of the WM Dining Chair. The founders, Wendy Legro and Maarten Collignon, wanted to create seamless and simple designs which reflect the love put into them and their details - and for many years. 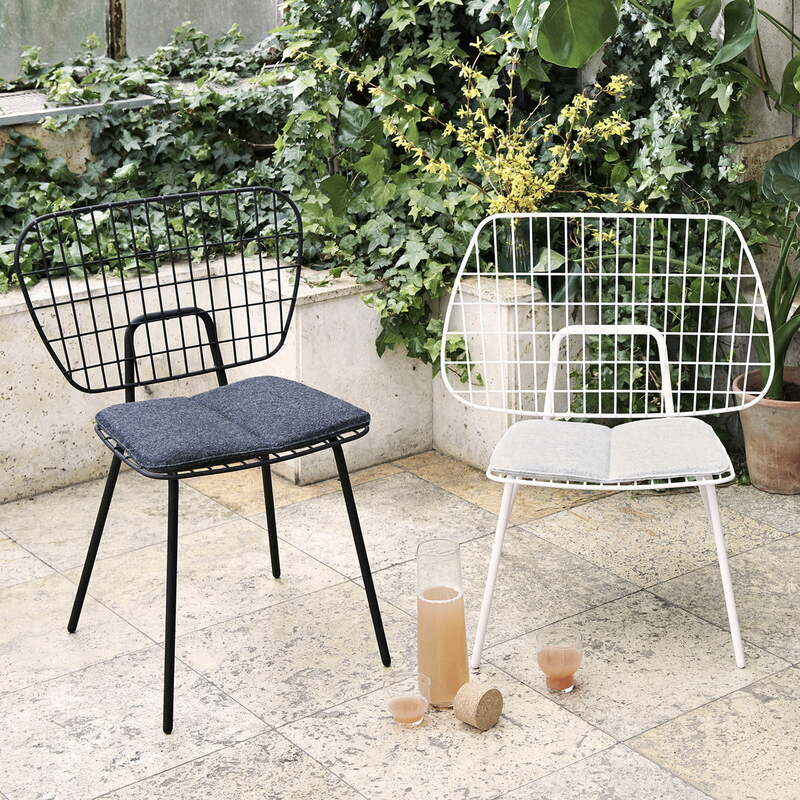 The thin structure of the wire frame appears light and airy and forms a fine contrast with any kind of cushions used for the dining room chair – or with blankets or other soft items which fit on the chair. 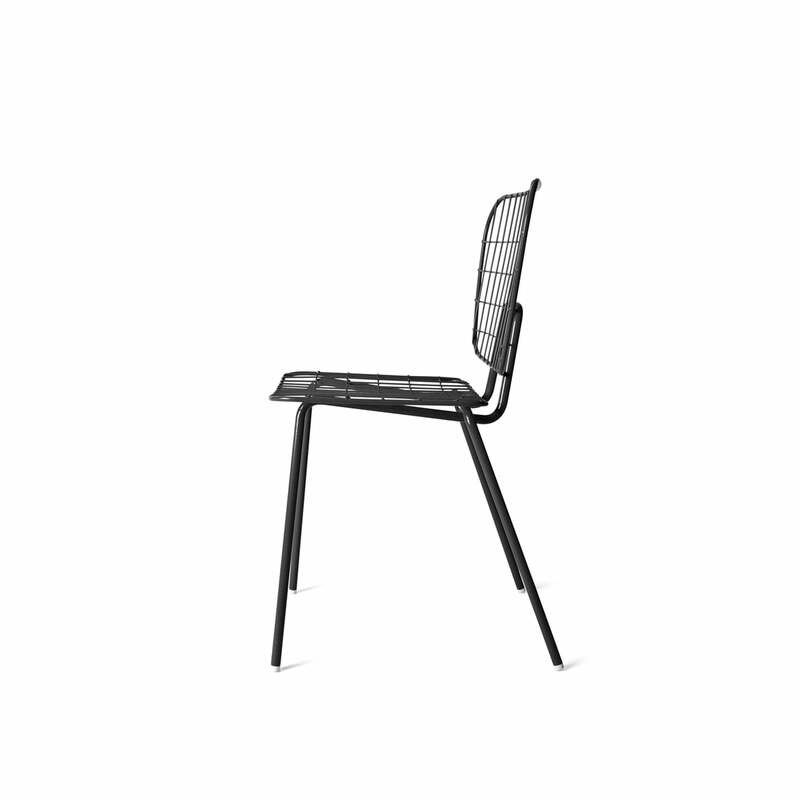 The dining chair is even surprisingly comfortable without a seat cover, thanks to the ergonomic shape and slightly relaxed wire structure. 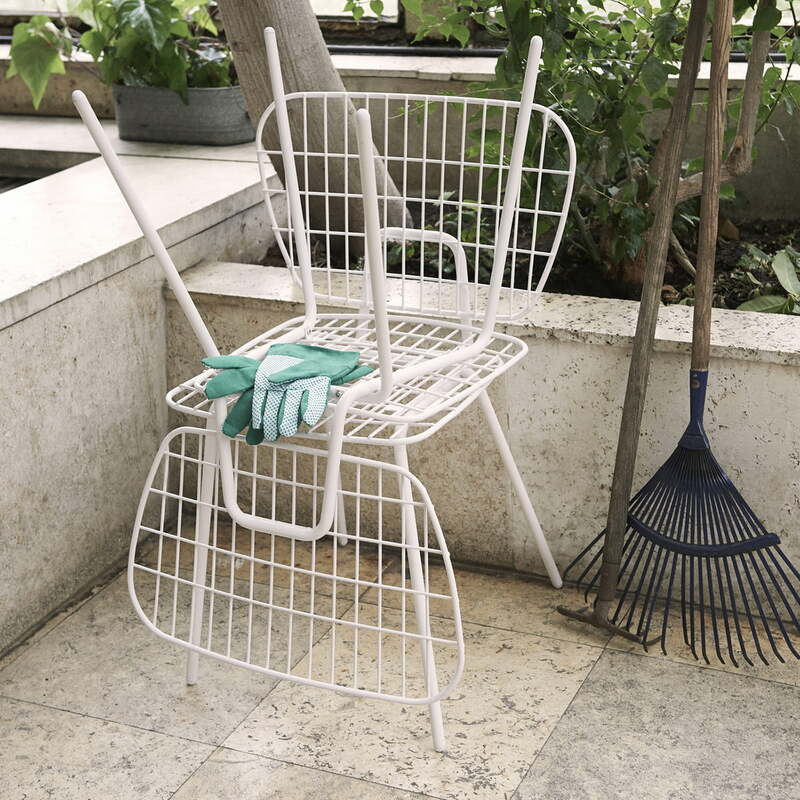 Another advantage of the production with powder-coated steel: Thanks to the durability and strength of the material, the chair can also be used outdoors. 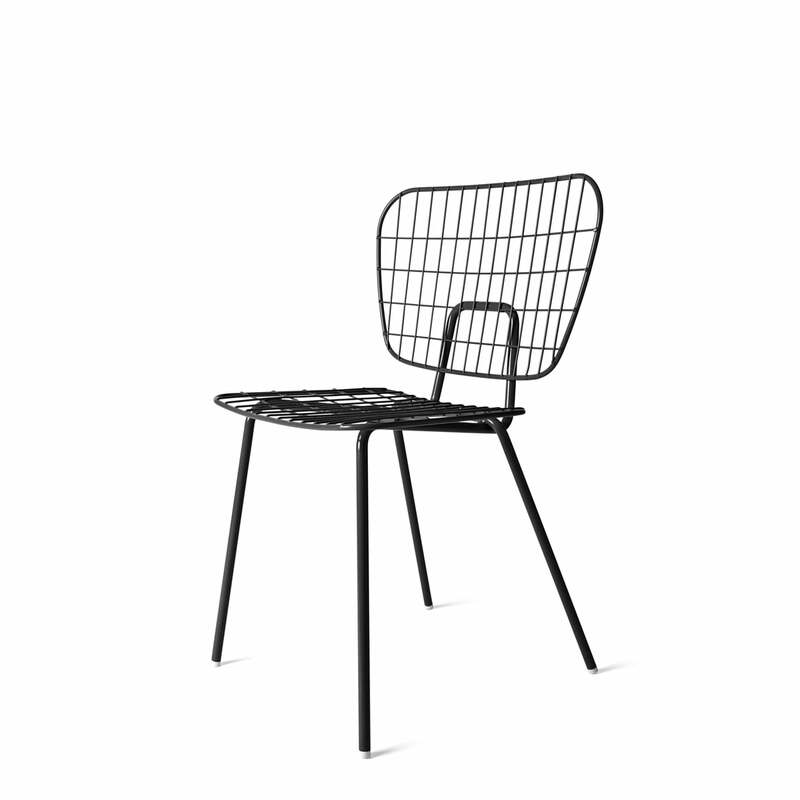 The WM Chair is also available as a lower Lounge Chair, which prioritises the comfort of the wire chair. 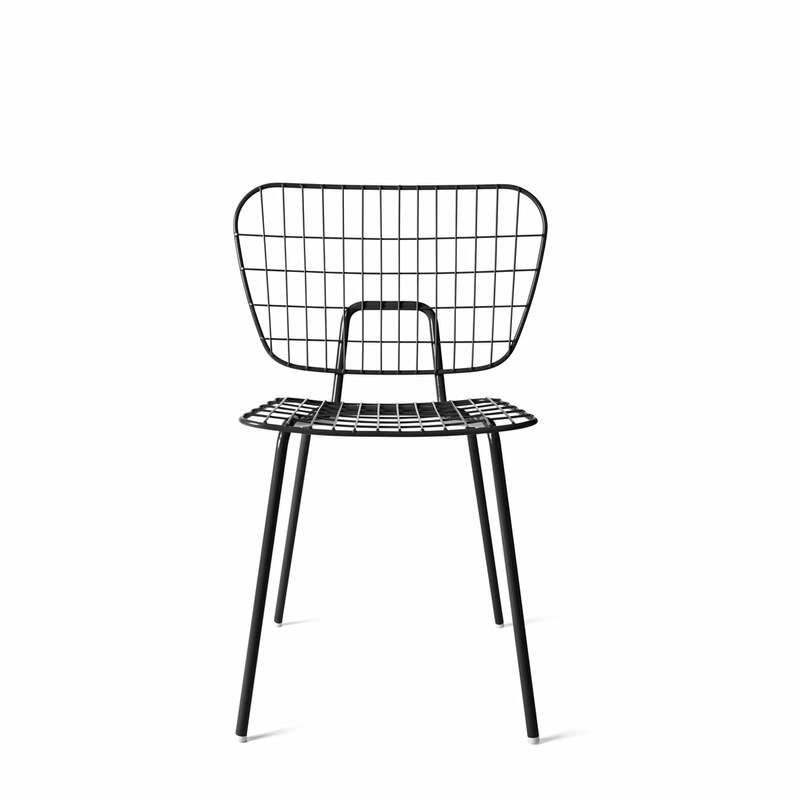 Ambience image of the WM String Lounge Chair by Menu. 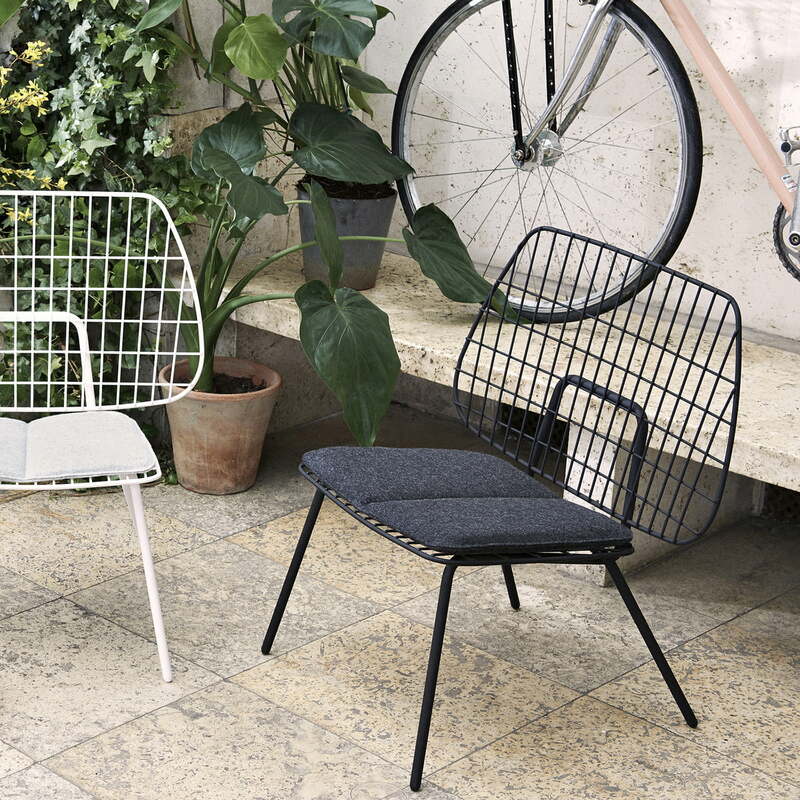 The cushion adapts perfectly to the chair's seat shell and still doesn't hide the wire frame of the outdoor chair. Ambience image of the WM String Lounge Chair by Menu with cushion. 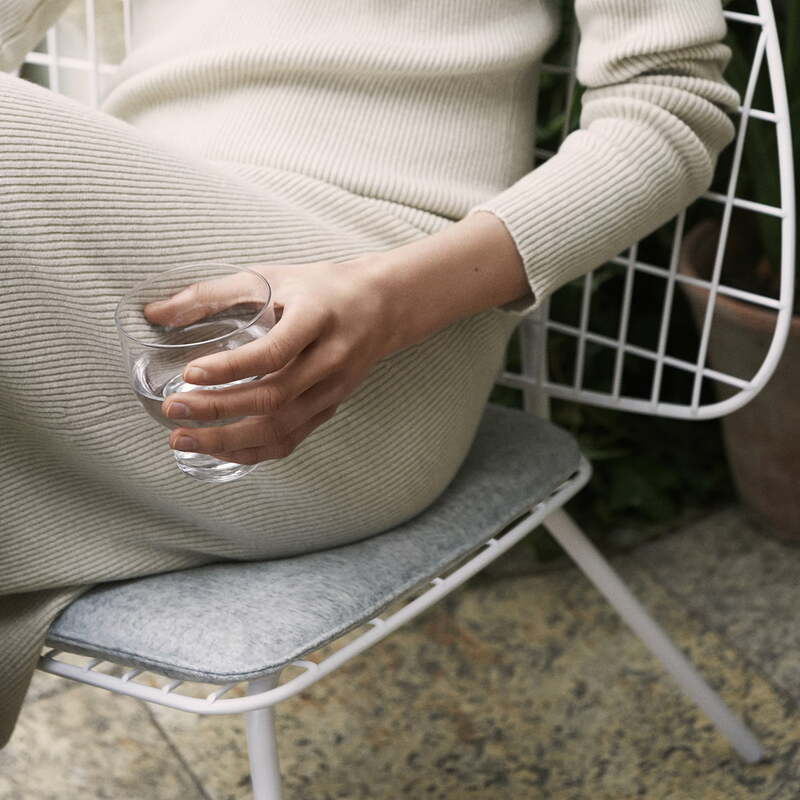 The chair's thin cushion doesn't hide the delicate frame of the chair completely and therefore makes a wonderful contrast between softness and the robustness of the chair's material. Ambience image of fhe WM String Lounge chair with cushion. The soft cushion made of cotton with foam filling makes the Lounge Chair even more comfortable. Ambience image of fhe WM String Lounge chair with cushion. The soft cushion made of cotton with foam filling provides for more comfort during dinner or when just relaxing.